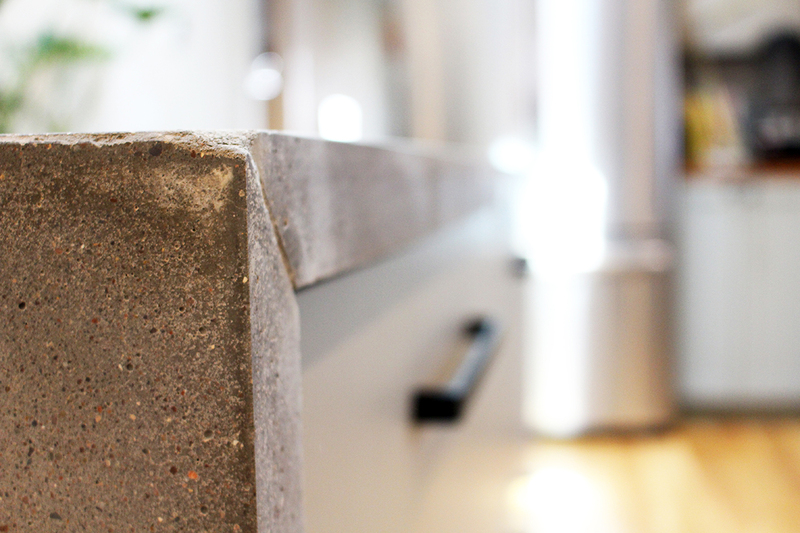 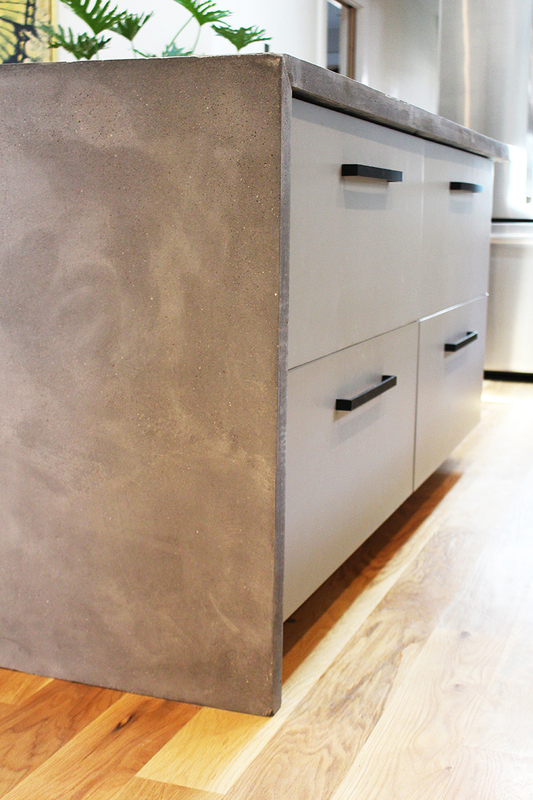 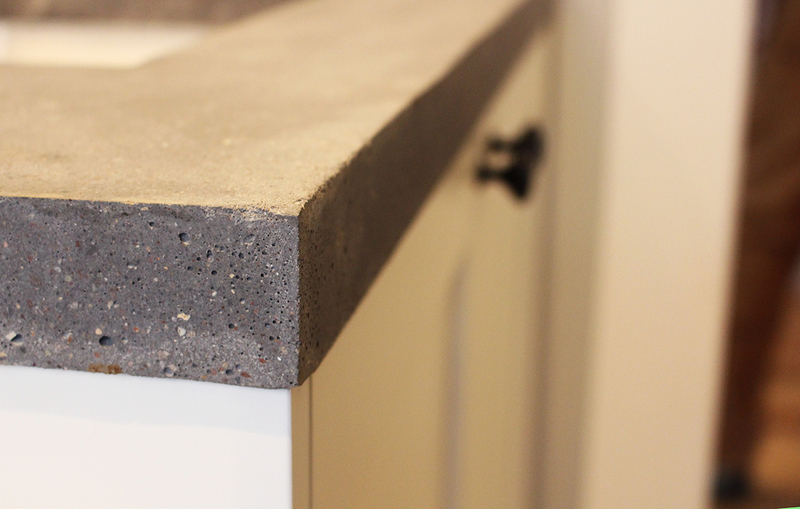 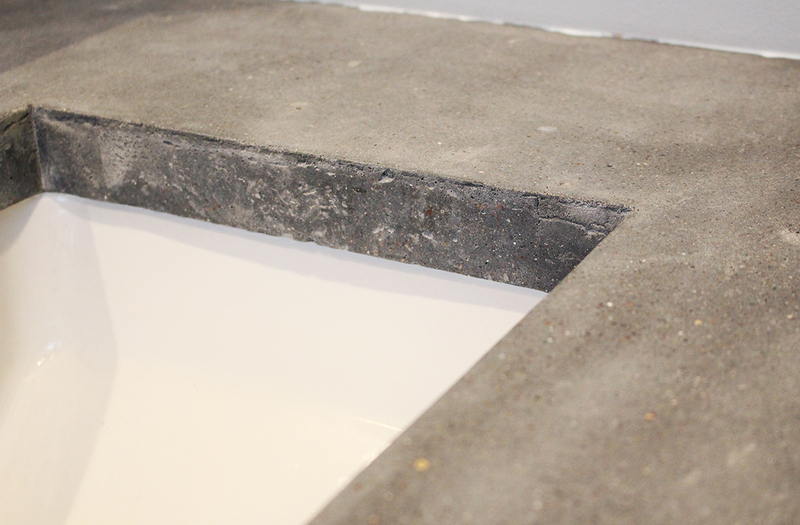 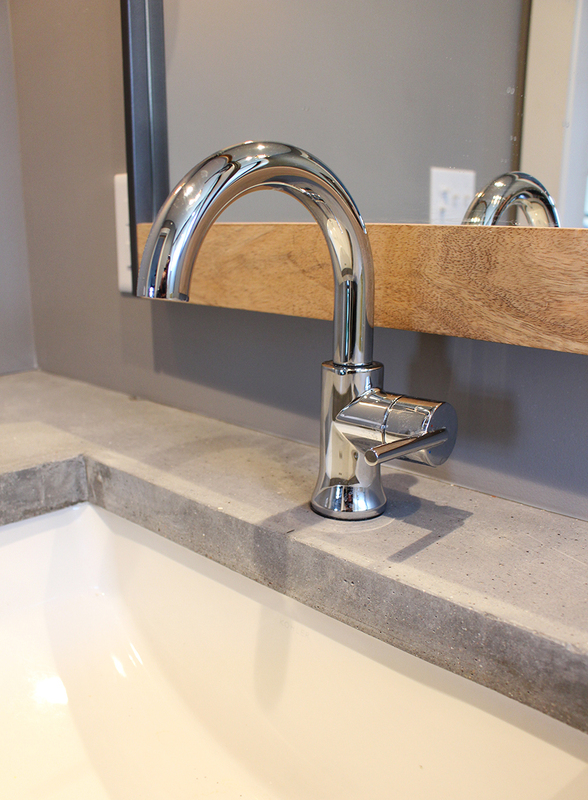 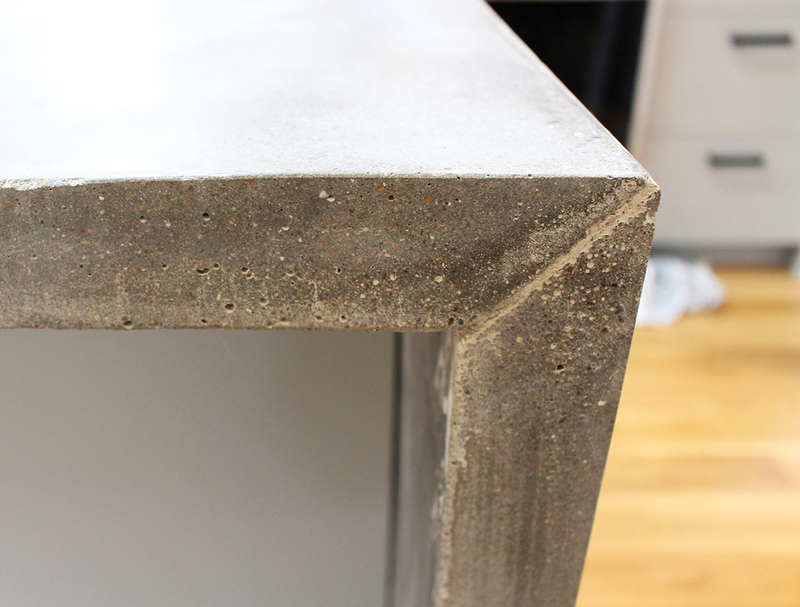 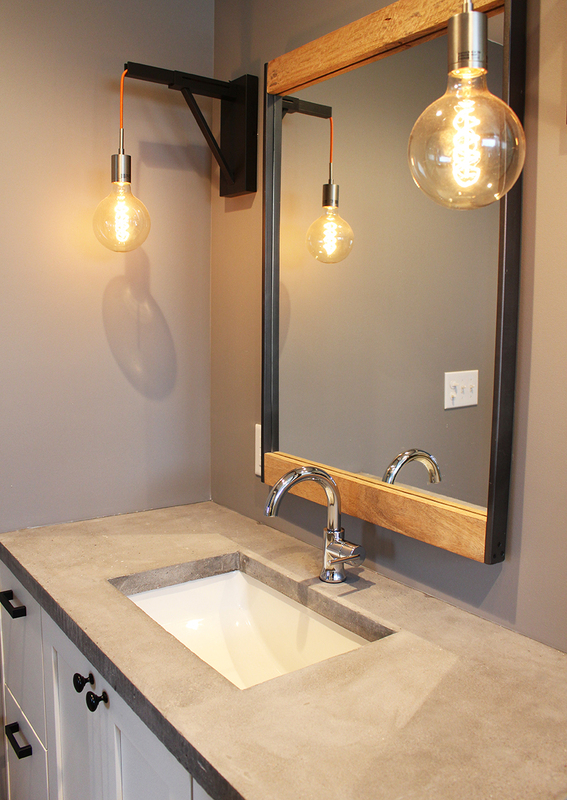 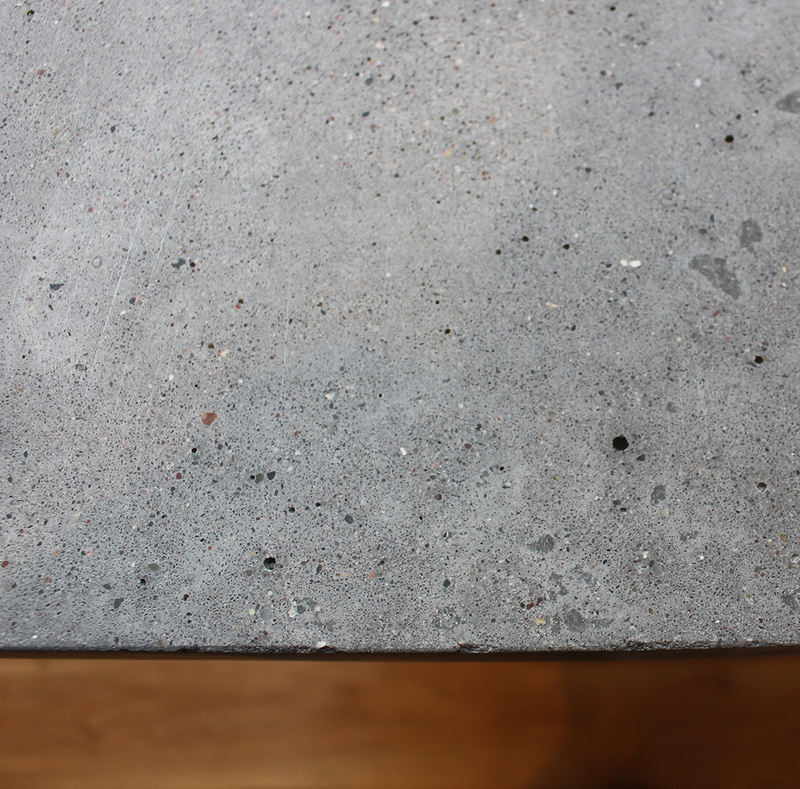 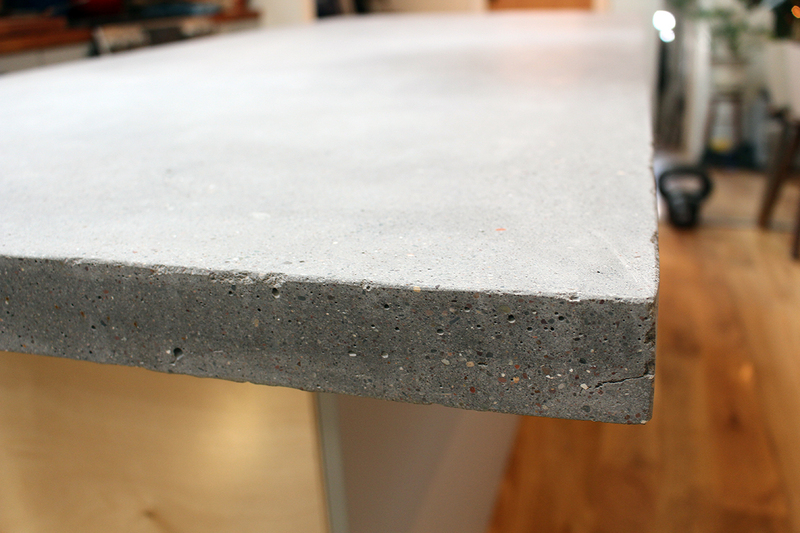 We were commissioned by a client to create concrete countertops for their home. 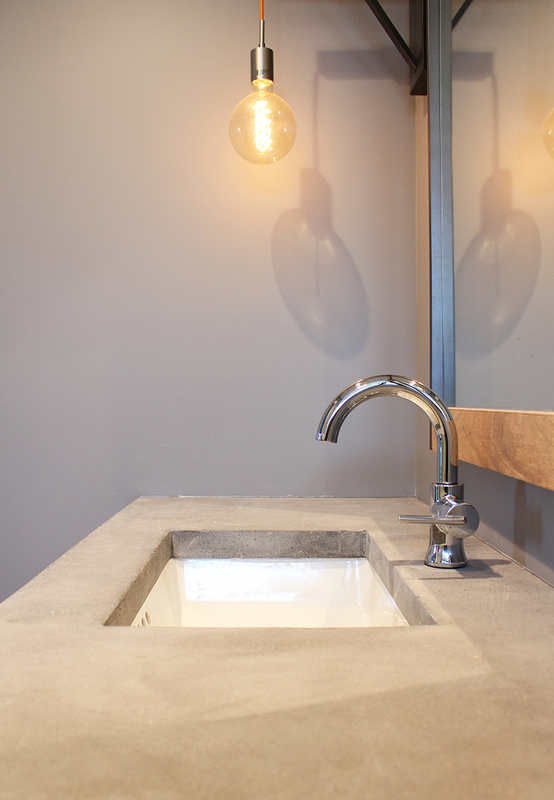 We formed, poured, polished and installed these in their kitchen and bathroom. 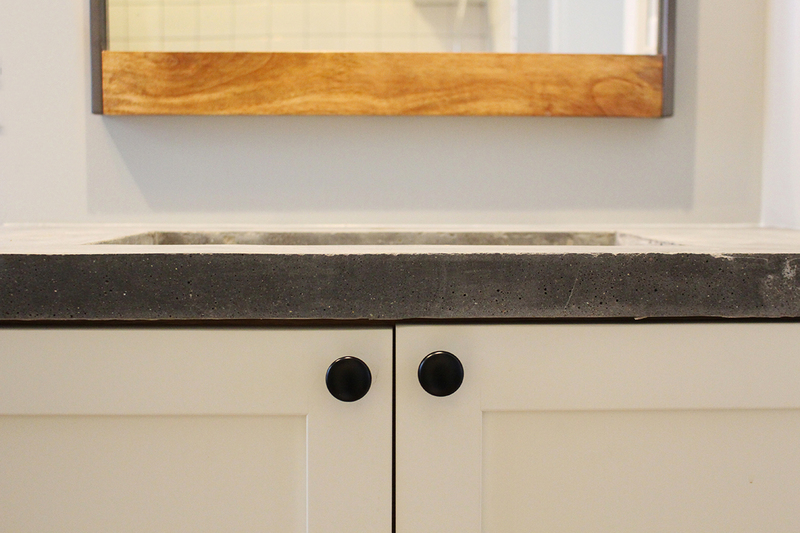 The vanities were pretty straight-forward, but the large island had a waterfall drop and we had to miter the corner to make it look monolithic, which was a bit of a chore. 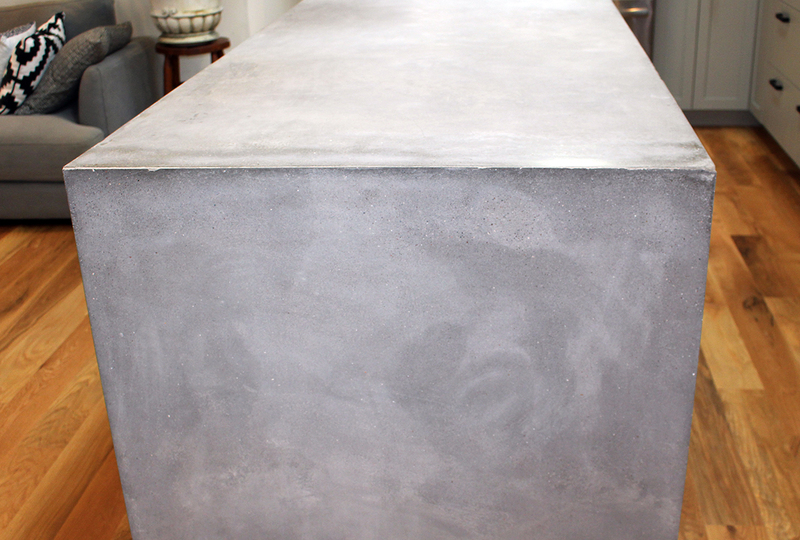 However, Bob Stright was up to the challenge and did a beautiful job on the fabrication, as well as the install. 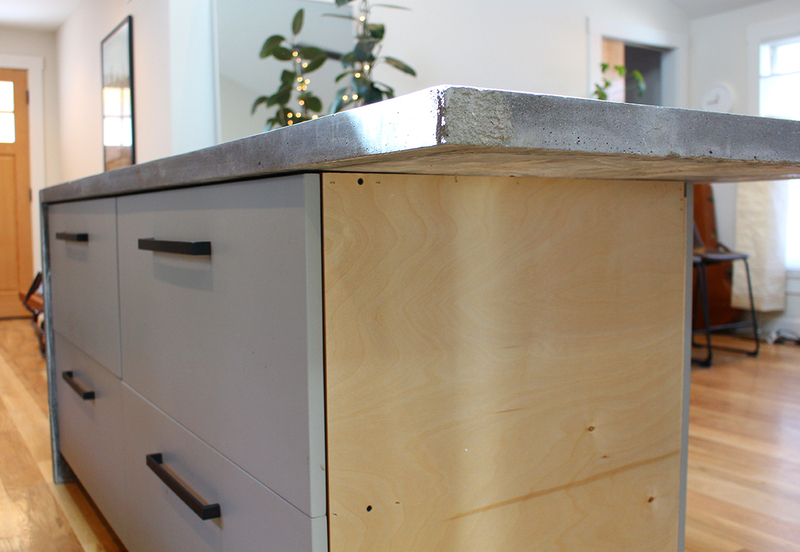 Moving this top around and getting it into the house gave us a lot of appreciation for the countertop installers who do this day in and day out. 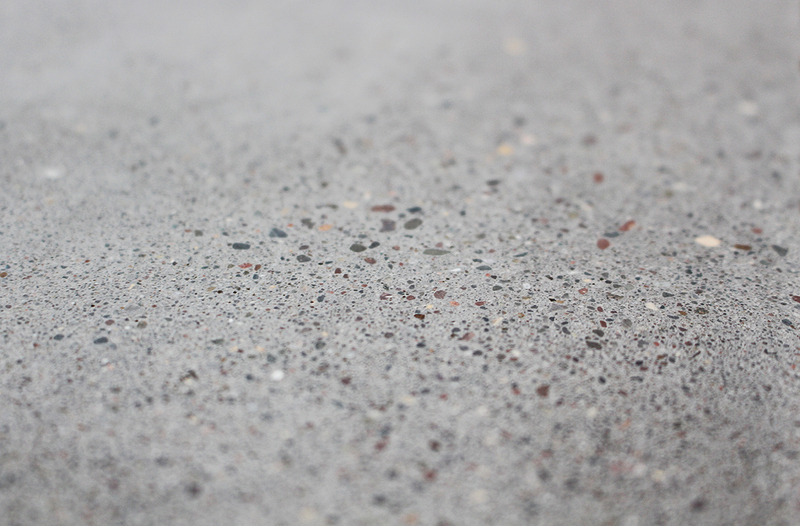 These things are heavy!